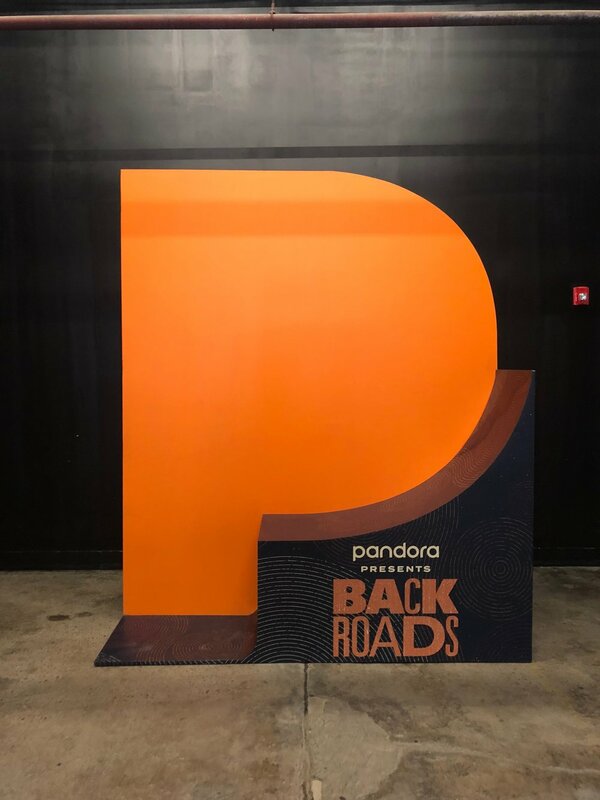 MadeFirst worked with closely with Pandora and sponsors to design and fabricate pieces to kick of the annual CMA Fest in downtown Nashville at Marathon Music Works. Also included in this installation included a hidden activation in the backstage area for interviews to be conducted as well as the stage backdrop and lighting as well as miscellaneous signage. Sponsors of this event included Ashley Home Furniture, BallPark Brands hot dogs, Twisted Tea, Kingsford and Maytag.